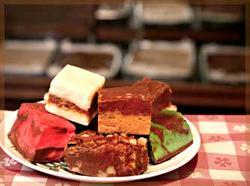 Remember those special occasions when Grandma would treat everyone to her world-famous homemade fudge? Why wait for a special occasion? Enjoy this sinfully delicious treat anytime! It also makes a fabulous gift.